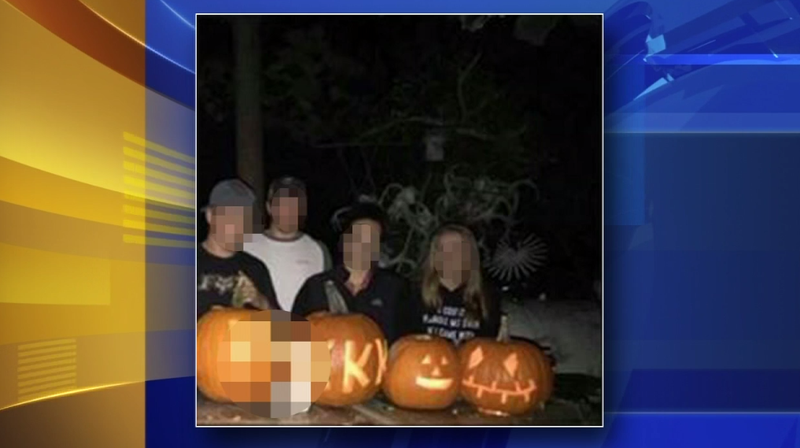 Local police are investigating a photo that shows four teenagers, believed to be students at Coatesville High School, posing behind pumpkins carved with racist symbols. According to WPVI-TV, the image was posted on social media before it took off and sparked backlash in the Coatesville community. The report notes that several students left classes early Tuesday to join parents for a march about the school to protest the racism at the school. Just last week, Coatesville High was in the news after what appeared to be a black doll was found hanging from the ceiling of a locker room at the school. The school called the incident a “foolish prank,” insisting that it had nothing to do with race. However, maybe this might be the time to revisit that choice of words, since there is something clearly going on. The school district is also investigating both cases, but there is nothing to indicate that any charges will be brought in the case. The district did say, however, that all individuals in the two incidents will be subject to sensitivity training. We are extremely disappointed that any of our students would display this kind of hatred and vile behavior. It’s reprehensible and intolerable, and this photo causes deep sadness and concern. We work extremely hard to promote a tolerant, respectful, inclusive learning environment, and this is in direct opposition to everything we stand for and believe in. The photo appears to be taken outside of school hours and not on school property. While the law is specific as to the authority it confers upon schools for school-imposed discipline, the District will exercise its full authority it may have within those limits. Upon learning of the incident, our administrators immediately turned the photo over to police, and administrators are contacting parents of the students pictured. We’ll be investigating the incident and continuing to work with our local equity agencies, including the PA Human Relations Commission, Mid Atlantic Equity Center, and NAACP this week as we are offering facilitated conversations for students about racism. The Coatesville Area School District is a caring school community that will not be defined by acts of hatred. We are encouraged by the outpouring of communication from students who reported this, and the many outstanding students who, on a daily basis, continue to do the right thing and who continue to stand in unity. We simply cannot accept this, and will do all we can to ensure that our community realizes that there is simply no place for hate in our school district.